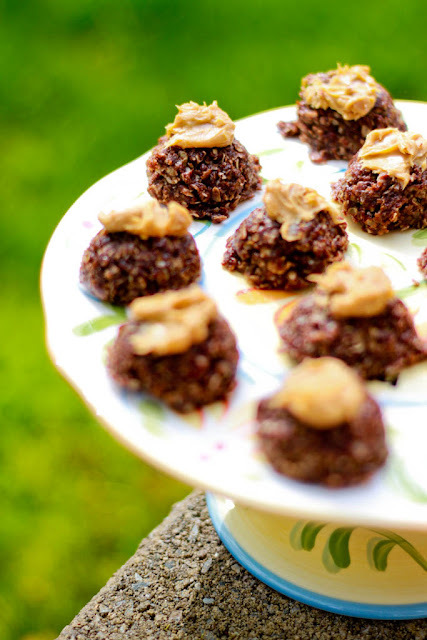 This super easy no-bake peanut butter chocolate macaroons takes about all of 15 minutes to make. It should still be a little warm at that point, which is great for a homemade taste, but they're fantastic when fresh out of the refrigerator too. 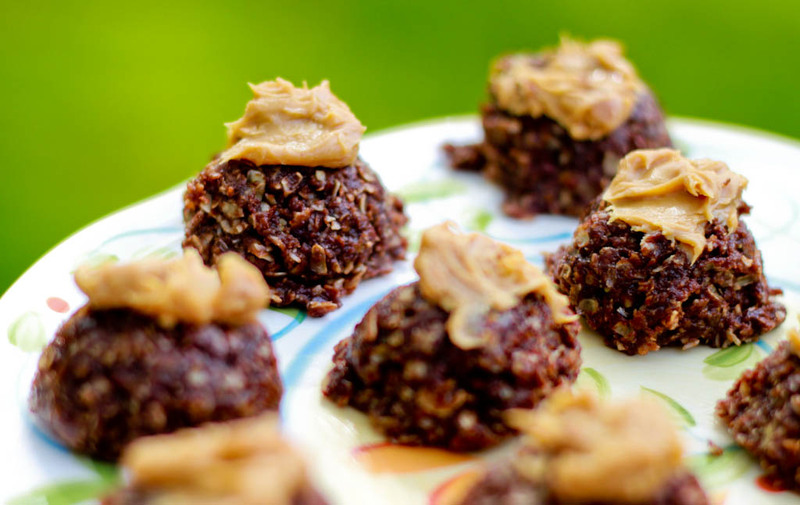 These are oat-based and I made them with brown sugar so it's kind of healthy.. well lets just say it's a step in the right direction. *wink* Oh, and I would like to thank this B-E-A-U-tiful spring day in Jersey for giving me gorgeous natural light to shoot with. Enjoy! 1. In a pot, boil milk, cocoa, butter, and brown sugar for two minutes. 3. Add oats and coconut. Mix well! 4. 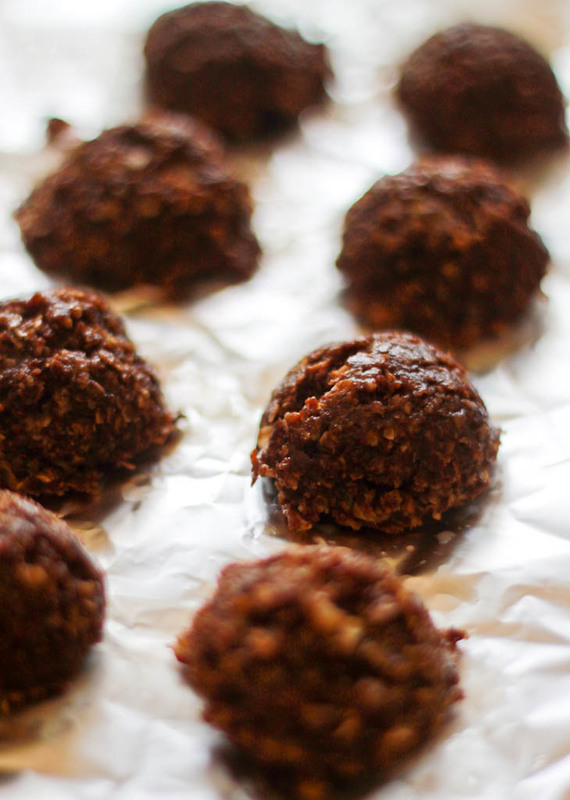 With a spoon, scoop out mixture onto wax paper and set aside to cool. 5. Garnish with a dollop of peanut butter to your hearts desire. The sloppier, the better. Can you believe Married To Chocolate is turning one next month? BIG plans for the anniversary. Keep comin' back! 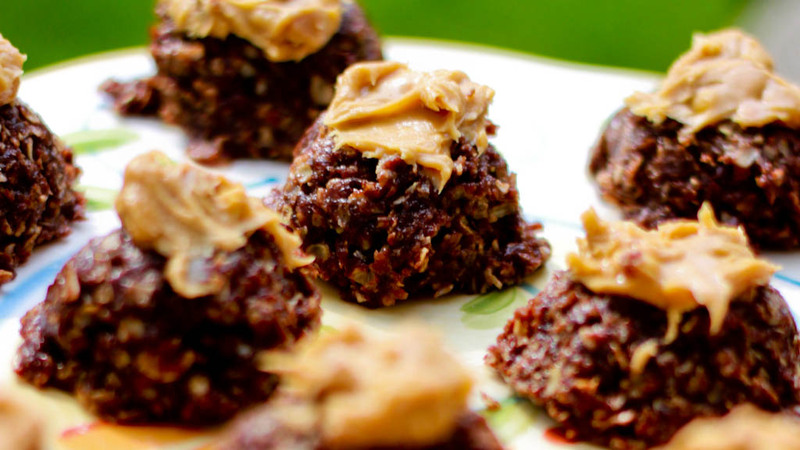 a no-bake dessert with peanut butter on top? this is calling my name.